Instead of just releasing the special counsel’s findings, the U.S. attorney general spun the report to the benefit of President Trump. President Donald Trump has long wished for an attorney general who would act as his own private lawyer, protecting him from any potential legal damage. He finally found his man in William Barr. Barr could have released special counsel Robert Mueller’s report from the beginning. Instead, the attorney general chose to twice present his own interpretation of the special counsel’s findings on foreign interference in the 2016 U.S. election ― before allowing members of the public to see the report and decide for themselves whether Trump and his associates did anything improper. 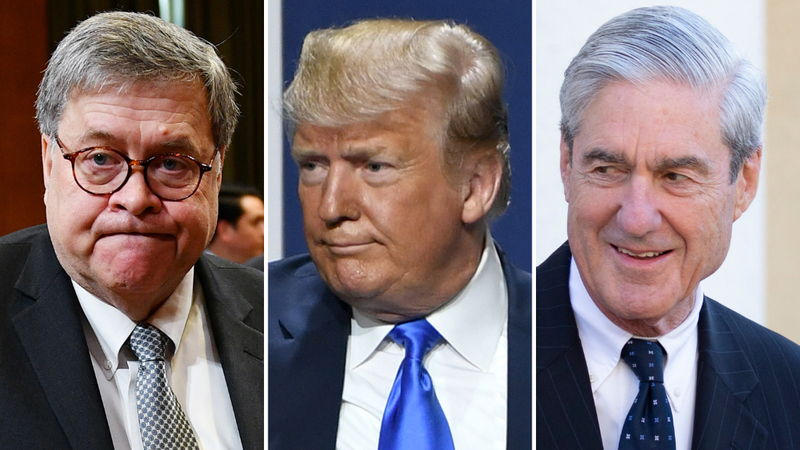 The report, which finally came out on Thursday, paints a much more complicated picture of whether Trump obstructed justice than Barr let on. The first time the public received a glimpse of what was in the Mueller report was on March 24, when Barr sent a four-page letter to congressional leaders summarizing his conclusions from the report the special counsel team had submitted to Barr two days earlier. To the Justice Department’s credit, the redactions in the Mueller report were relatively light ― allowing the public to see a substantial amount of the content. But still, in his public comments, Barr made sure to paint as positive a picture of Trump before the report became widely available. He left out the Trump campaign’s expectation of benefiting from hacked material. While it’s true that the Mueller report did reach that conclusion, that quote is incomplete. Barr left out the first part, which was less complimentary to the Trump campaign. He said it was up to him to make a decision on obstruction of justice. Attorney General William Barr went to bat for Trump in a Thursday morning press conference. In his March 24 letter, Barr said Mueller’s team did not come to a conclusion on whether Trump had obstructed justice in the course of the investigation. Therefore, Barr claimed, it was now up to him to make that determination. “The Special Counsel’s decision to describe the facts of his obstruction investigation without reaching any legal conclusions leaves it to the Attorney General to determine whether the conduct described in the report constitutes a crime,” he wrote. But Barr never had to make that legal conclusion, as Matt Miller, a spokesman for the Justice Department under President Barack Obama, pointed out. And Mueller never asked Barr to so. 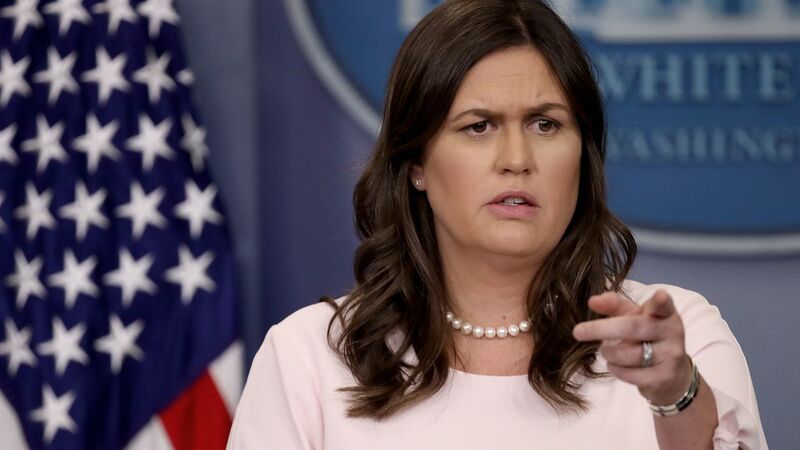 [I]f we had confidence after a thorough investigation of the facts that the President clearly did not commit obstruction of justice, we would so state. Based on the facts and the applicable legal standards, however, we are unable to reach that judgment. The report also said that ultimately, the obstruction call wasn’t for Mueller to make. The special counsel decided not to make a decision on whether to prosecute Trump because the Justice Department’s position, according to an Office of Legal Counsel memo, is that a sitting president cannot be indicted. “Given the role of the Special Counsel as an attorney in the Department of Justice and the framework of the Special Counsel regulations ... this Office accepted OLC’s legal conclusion for the purpose of exercising prosecutorial jurisdiction,” the report states. Furthermore, it seems clear that Mueller and his team expected that ultimately, Congress would make the decision on obstruction of justice. “[W]e concluded that Congress can validly regulate the President’s exercise of official duties to prohibit actions motivated by a corrupt intent to obstruct justice,” the report says. In other words, Congress can impeach the president if it wants to do so. He gave an incomplete picture of Trump’s actions that could be construed as obstruction of justice. “In cataloguing the President’s actions, many of which took place in public view, the report identifies no actions that, in our judgment, constitute obstructive conduct,” Barr wrote in his March 24 letter. The report doesn’t let Trump off the hook quite so easily. It says Trump tried to obstruct justice ― but he didn’t succeed because his staff refused to follow his orders. The report detailed 10 acts by Trump that could amount to obstruction of justice. Special Counsel Robert Mueller has been called to testify before Congress about his report. One of Trump’s favorite phrases is that there was “no collusion” between his campaign and the Russian government in the 2016 elections. He has tweeted it 84 times. But the Mueller report never actually said the investigation found no collusion. In fact, the report explains specifically why it doesn’t use the term “collusion.” The word only appears in the report as part of this explanation or in quoting someone else. The Mueller report avoided using the term “collusion,” and explains why here. Therefore, Barr repeatedly saying Mueller found “no collusion” was simply the attorney general adopting a Trump talking point. He said Trump fully cooperated with the investigation. The Mueller report says Trump refused to be interviewed by the special counsel and his team. Several top aides “declined to carry out orders or accede to his requests” to limit the Russia investigation, according to the special counsel’s report. President Donald Trump might be in substantially more legal trouble if not for top administration aides and officials, according to the redacted version of special counsel Robert Mueller’s report released by the Justice Department on Thursday. Though Mueller did not reach a conclusion as to whether Trump obstructed justice by seeking to shut down the investigation into Russian interference in the 2016 presidential election, the special counsel presented evidence of the president’s efforts to “influence” the probe and the witnesses who cooperated with it. But at least some of those efforts appear to have been stymied by members of the president’s own staff, who chose not to heed his orders. Mueller’s report recounted “10 episodes” involving Trump and questions of obstruction of justice. Of those instances, Mueller cited a number of Trump administration officials who resisted the president’s efforts to limit the investigation. When the White House wanted to put out a story saying it was Rosenstein’s idea to fire Comey, Rosenstein said he wouldn’t participate in that “false story.” Trump called Rosenstein as he was watching Fox News and asked Rosenstein to hold a press conference, but the deputy attorney general said that wasn’t a good idea. Trump and his lawyers later disputed that characterization of the meeting.